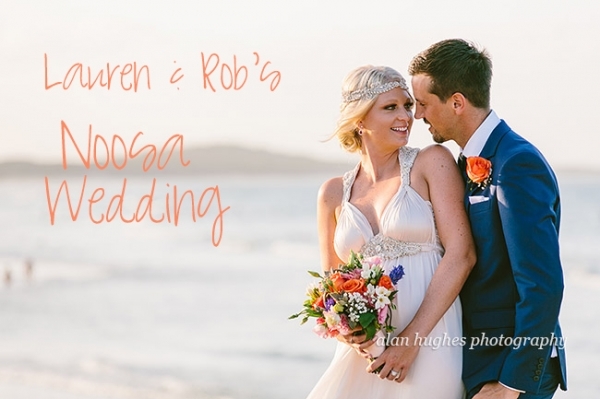 Lauren & Rob's Noosa wedding was sooo much fun, I'm not sure it should be allowed to enjoy your job that much! They were married in Noosa Woods by celebrant Kristy Ellis followed by photos on Noosa Main Beach and then the party at the Noosa Boathouse Restaurant. In the blog images below, look out for continual use of the selfie/stick, copious amounts of fun lovin' poms, Rob 'catching' a fish (why Rob?! ), Lauren's stunning flowing Anna Campbell dress, Ashleigh doing her speech with a sleeping child on her...oh and did I mention the smiles and laughter! Thank you to Loz & Rob for having us there and I wish you both continued good health and happiness..